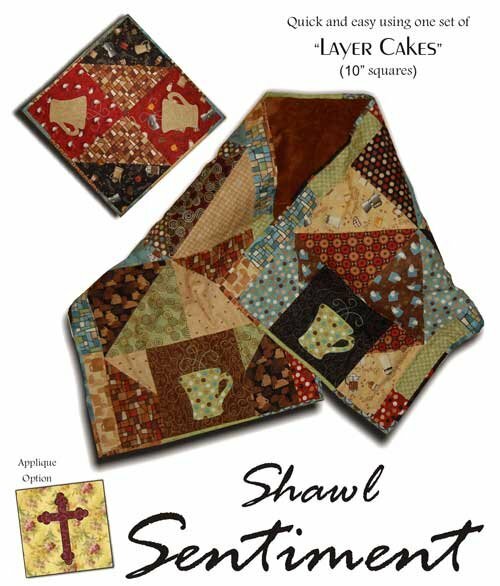 Wrap yourself in this cuddly shawl while drinking your morning coffee or use as a prayer shawl. Change the applique on the pockets to suit your taste. Scrappy on one side. Soft and warm on the other with novelty fabric. Dimensions: 72" x 22"; 18" x 18"